from 9:30 am to 12:30 pm. Ve’ahavta Winter Camp for ages 10-14 is coming up on December 24, 2018! Enjoy a meaningful tikun workshop, hear from one of our powerful speakers and pack winter warmth kits for individuals who are experiencing homelessness. Help support Ve’ahavta’s life-changing programs. Many of our youth volunteers go to summer camp every year. 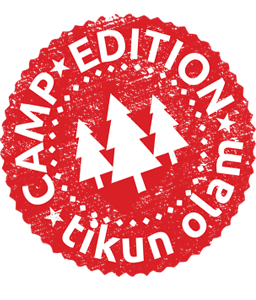 This season come join us at Winter Camp right here at Ve’ahavta. Winter Camp is a fun and informal half-day experience for kids and teens ages 10-14 who are looking for something meaningful to do at the beginning of their winter break. Participants will build winter warmth kits and make sandwiches for our clients supported by the outreach van. They will enjoy activities which explore the mission of Ve’ahavta and hear from one of our clients with lived experience of homelessness. It will be a great taste of some of the work we do here every day. Pricing includes programming, supplies to build winter warmth kits and covers the speaker fee for the person with lived experience. If you are unable to collect your child/teen until 1:00pm, we are happy to provide a space for the participants to have their lunch, read, etc. In this case, please send a packed lunch (non-meat) with your child/teen. Please indicate in your registration whether you will be picking them up at 12:30 pm or at 1:00 pm. Register for Winter Camp 2018 now!